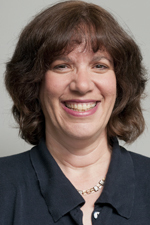 Janet Krasner Aronson recently earned her PhD in social policy at the Heller School at Brandeis University and is an associate research scientist at CMJS/SSRI. She has been a member of the Taglit-Birthright Israel team, the Israel studies team, and currently manages several of our Jewish community studies. Her dissertation focused on the “ripple effects” of social intervention programs, specifically the ways in which Taglit-Birthright Israel impacts the parents of participants. Several months ago, while still a graduate student, Janet was the first participant in a newly formed exchange program between the Steinhardt Social Research Institute at Brandeis University and the Avraham Harman Institute of Contemporary Jewry at The Hebrew University of Jerusalem. The exchange is designed to foster collaboration on socio-demographic studies of world Jewry. Our interview below expands on that experience. Why did SSRI partner with the Avraham Harman Institute? Can you describe the program and what it is trying to accomplish? The Steinhardt and Harman Institutes are natural partners for collaboration—they are pre-eminent academic centers for the study of contemporary Jewish life. Both of our institutes study Jewish populations, and there is much that we can learn from one another about socio-demographic trends. The project allows staff and students—not just the directors who meet frequently—to get to know another and learn about one another’s methods and findings. Each planned exchange between graduate students from each institution includes meetings with research staff, participation in on-going courses, and a colloquium presentation by the visitor. Over time, we also hope to work on joint publications and applications for grant funding. The visits are spaced approximately six months apart so that the participating graduate students can, in the interim, meet via SKYPE and email. How did you think about your goals for the one-week exchange? My personal goal for the exchange was to develop my professional network. Socio-demography is a small field and as a newcomer, there are a lot of scholars whose work I have read but have not yet had the opportunity to meet. In addition, I was interested in learning about the areas of interest of the Harman Institute to understand how they overlapped with the work done here at Steinhardt. From the perspective of SSRI, I saw my participation as an opportunity to share our work following up the Pew report “Portrait of American Jews” and gain the perspectives of non-Americans on a variety of issues, including the construction of Jewish identity. The focus of my week was a presentation to staff and researchers at the Harman Institute. The event was organized by Prof. Uzi Rebhun, head of the Institute, and chaired by Prof. Eli Lederhendler. Individuals who attended the presentation included senior researchers and graduate students with different degrees of familiarity with the Pew survey. The presentation reviewed some of the findings and their implications. I also had the opportunity to spend a day at JPPI and participate in a discussion about their research agenda. I had been a student at The Hebrew University for one year in 1982. On a personal level, it was a pleasure to be back on the beautiful Mt. Scopus campus. Much has changed over time. What did you want to share about the Pew study? During the session, we discussed what someone might mean by “partly Jewish” in contrast to “Jewish.” Does “partly” imply a weak Jewish identity, a mixed Jewish identity, or something else? I used as an analogy the celebration of St. Patrick’s Day in Boston. If you asked the Boston parade watchers wearing green hats on that day “do you consider yourself Irish” some, perhaps, would answer yes as an expression of solidarity, regardless of their personal heritage. But that is not what most people mean when they speak of partial Jewish identity. As we discussed in the group, for some pride in being Jewish may be the critical identifier of meaningful Jewish identity. While important, this standard is a very low threshold for identity. For others, connection to the Jewish people might be more significant. 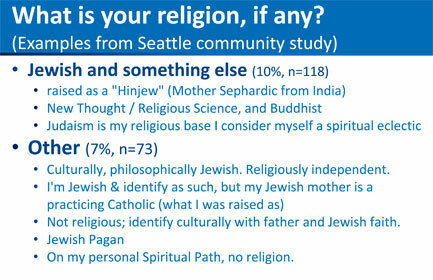 To stimulate discussion on this topic, I shared some quotes from our community studies showing how people describe their Jewish identity in their own words. My presentation was an opportunity to think about these questions with scholars with varying perspectives. Sometimes looking at Jewish identity in different context (in this case geographic) helps you better understand your own. Discussions around issues such as cultural Jewish identity are very different in the United States versus Israel. My dissertation is on the impact of Taglit-Birthright Israel on parents of participants. We know that parents are extremely supportive of the program, but my dissertation demonstrates that as a result of their children’s participation, parents are more interested in visiting Israel and feel more connected the country. This study is the first to examine this issue systematically. More broadly, the dissertation demonstrated the way that the impact of an educational program such as Taglit has had broader impact on the community than previously considered because it has affected even those who have not gone on the program themselves. What did you learn from your counterparts in Israel? Israeli and American scholars have much to learn from each other. As outsiders, Israelis have an interesting perspective to this discussion of American Jewish identity. For Israelis, the identity debate centers on differences between Jewish identity and Israeli identity, and distinctions between the multiple ethnic backgrounds of Israeli Jews. What is the Jewish part of Israeli identity and how do the two overlap? 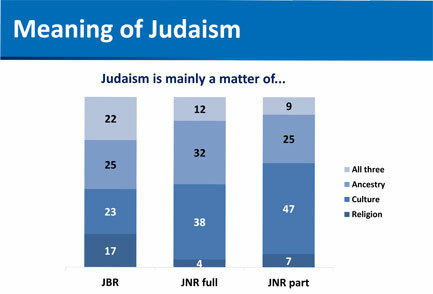 In Israel, those who are less connected to their Jewish religious identity continue to live in a society in which Judaism is infused in the secular culture, for example, through Hebrew language and the structure of the calendar. In America, by contrast, those who are disconnected from their Jewish identity live in a world that may be devoid of Jewish content and culture. Without making a conscious effort to connect to Judaism in some way, whether it be through religion or culture, American Jews have fewer opportunities to express their Jewish identity. For many American Jews, Judaism is a matter of culture and ancestry as much, if not more, than it is a religious identity. What’s next for the SSRI/Harman Institute exchange? We are planning to host a student from the Harman Institute this fall. Some of the graduate students at Hebrew University expressed interest in the opportunity but the participant has not yet been selected. I look forward to arranging meetings with CMJS/SSRI staff and graduate students and to look for ways in which we can collaborate on future projects. This entry was posted in Birthright Israel, Community Studies, Demography, Researcher and tagged Birthright Israel, Jewish Community Studies, Research by cmjseditor. Bookmark the permalink.